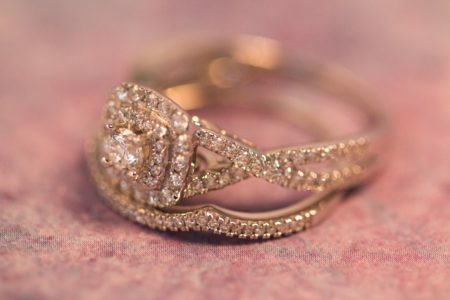 But there is no need to hesitate, because we have the perfect engagement ring ideas for your ’round two’! The most popular engagement ring style for a second marriage is hands down the Past, Present, & Future setting. The three stones in this ring acknowledge the past, but focus on the present, giving hope and happiness to the future. Don’t be scared to switch things up! 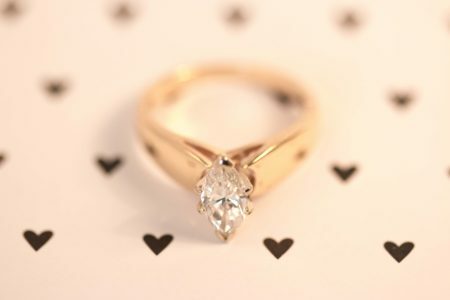 You can play with shape or size, like a Marquise-shaped diamond for your center stone. 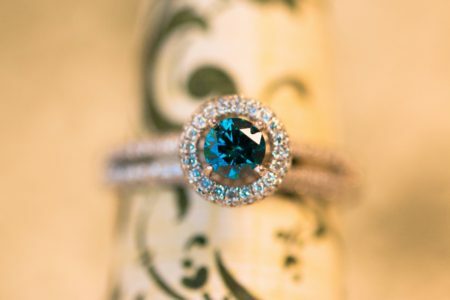 For this second marriage, it’s time to dare to be different with a colored diamond, or choose a sapphire of any color to brighten the ring. There are lots of ways to wear wedding bands. 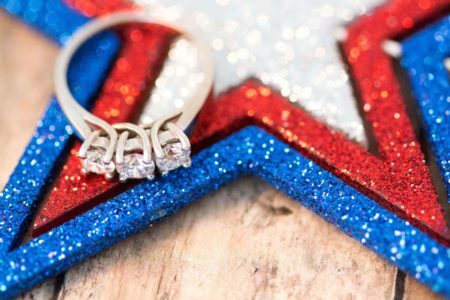 (If you don’t know much about how to wear a wedding band, CLICK HERE to find out more), This time, try picking a matching diamond band to accent your main ring. Or maybe, stay with a timeless round diamond and add a twisted or decorated band to the same ring!